A day in the life of a writer. (to be precise, My day today!) Blog marathon post 2. 5.30 am: The alarm rang. I nudged Satish. "Please baby, your turn to make coffee today." He obliged. 5.40 am: he hands me my coffee and I open one eye and sit up in bed and take the coffee from him. It is always black, pure frshly ground pea-berry from the finest coffee beans. I don't think i can last even a day without it. 6.00 am: We wake my son who has to leave for school. My daughter is just back from a school trip, and is unwell. We let her lie in. 6.25--7.25 am: We are at our Yoga shala doing Ashtanga Yoga. 7.45--8.45 am: We make breakfast as well as lunch.Breakfast is masala dosas. Lunch is rice, dal and two sabjis. 9.00 am Satish leaves for work and I get down to my work. 11.00 am: I have finished my first draft of my column for Financial chronicle. I write a column that appears every Saturday. 3.30-- 4.00 pm: A work related phone call with the regional marketing head to decide and discuss marketing strategies. 4.00--5.00 pm: I research and read up for the piece that has to go out tomorrow. 5.00--5.45 pm: I take my dog for her walk. She will not let me work unless I do. She will close my laptop with her nose and tug my T-shirt and whine loudly till I oblige. (yes, she is a spoilt ,pampered, much loved dog and she can get away with anything!) Here is one of my favourite pictures of her. 6.00--6.45 pm: We spend time in our organic terrace garden. We remove all the dead leaves, check for pests, do the pruning and we also pick today's harvest--a giant bottle gourd. (will post pics another time). 6.45--7.45 pm: I finish the magazine piece, make the final draft and mail it. 7.45--9.45 pm: I spend time with my family, talking to them, discussing stuff, generally having fun.I love this part of my day. Also dinner time. We mostly cook all meals together--Satish and I. 9.45 pm--till publishing this post: Back to work. I have many more things to finish! I will probably be working upto 1.30 am tonight. So you see--what a HUGE commitment this is--this blog marathon? I have a book tour coming up this month. I will be visiting Delhi, Lucknow, Chandigarh, Kota and Jaipur. And I will still have to write a post here every day. After all, word is word. And you will be waiting, won't you? How can I let you down? 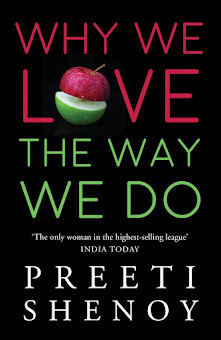 Hi Preeti - As always, I admire your love and dedication towards writing and how you always grasp the readers attention with your books/posts/lit fests/etc. Hope in 2015 I can meet you as you are a very influential person in my life. Thank you once again. Looking forward to the rest of the month! Come to landmark forum mall on 11th Feb! We will be having a book reading there. Watch Fb page for details. 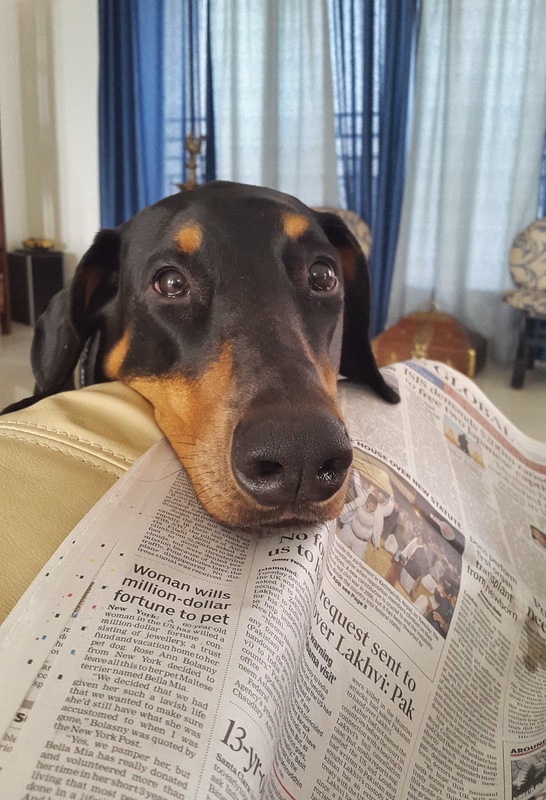 @ Rashmi - No dear, I don't live in Bengaluru. I have settled in Mangaluru. @ Preeti - Thanks for the info. Definitely would have made it if I was in Bengaluru. 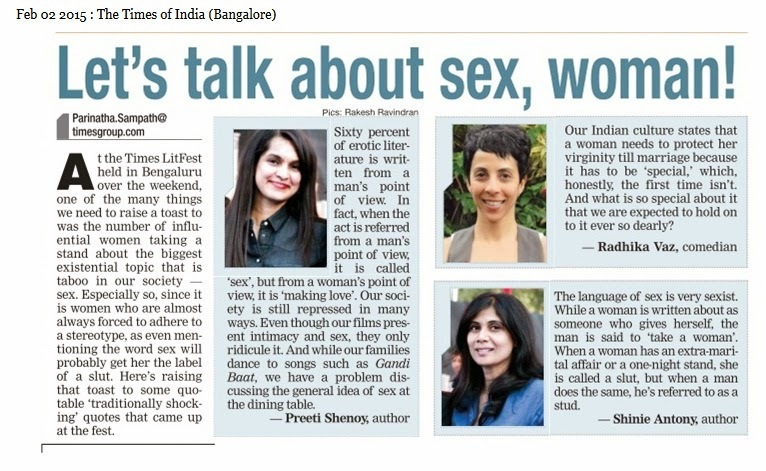 I welcome you to have a Lit Fest in Mangaluru. Am sure everyone would be honored to have an amazing author like you to visit our lovely city! Not at all. I hate the word. I just work hard. Thank you but why are you anonymous?! Every morning, my first work would be to read your blog.. love it ..You are really inspiring..
Definitely i likes your blog very much. And your efforts are admirable. Thank you, mam. Wow ... Admire your energy.. Love the part where you both cook together.. Its the best way to spend time together ! :) Well 2nd best ;-) :D heh heh. Absolutely love to go on a ride with your heavenly imagination, Preeti!!! I just open the blog and write whatever is on top of my mind at that moment! The best thing in the morning for me is to see a mail "New post on Much Love! 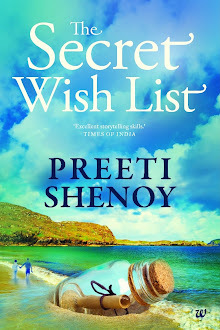 Preeti Shenoy!" Yes, I wait for your posts and when this month as you have promised for a blog marathon, I am waiting for new posts every day and just love it. yes,i was waiting for your blog.your schedule is really hectic!i wonder how you catch up with everything! You work so hard Preeti. You are an inspiration. Kudos! Keep it up! Ohhh! Was off-radar for a day and missed reading your first blogpost of this time' marathon. Awaiting the third one. Have such hectic writing days n keep inspiring. You are a sort of inspiration to me. L:oved reading about your day !!! Well balanced ! !